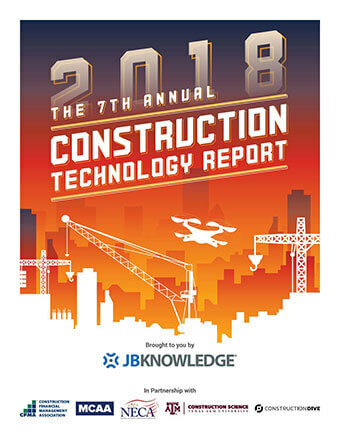 MCAA sponsored the 2018 Construction Technology Report, produced by MCAA’s Technology partner, JBKnowledge. 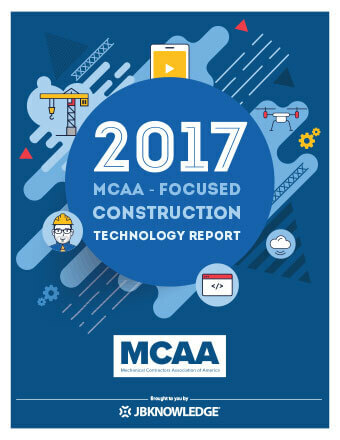 As part of our sponsorship, MCAA published an MCAA-Focused report that segments out responses given by MCAA members and compares them to the rest of the construction industry. 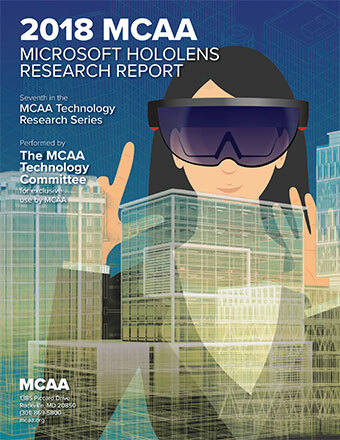 With this new report, MCAA members can not only see how their companies compare to other MCAA members, but how our membership compares to the industry at large. 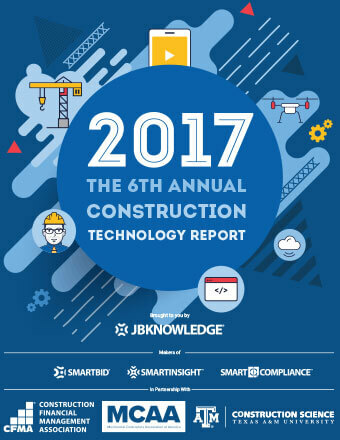 MCAA sponsored the 2017 Construction Technology Report, produced by MCAA’s Technology partner, JBKnowledge. 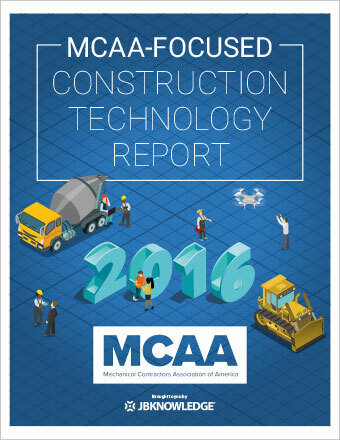 As part of our sponsorship, MCAA published an MCAA-Focused report that segments out responses given by MCAA members and compares them to the rest of the construction industry. With this new report, MCAA members can not only see how their companies compare to other MCAA members, but how our membership compares to the industry at large. A companion webinar is also available. 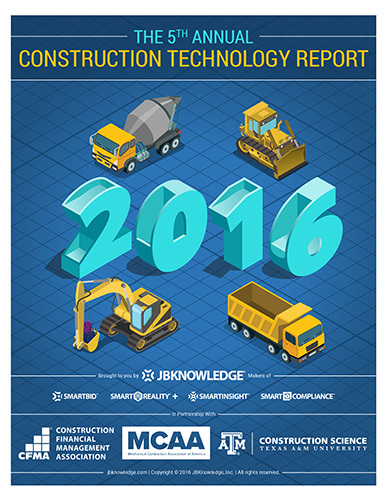 MCAA sponsored the 2016 Construction Technology Report, produced by MCAA’s Technology partner, JBKnowledge. 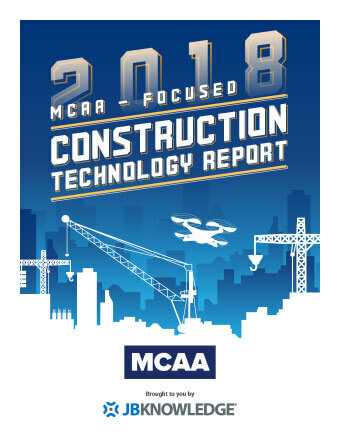 As part of our sponsorship, MCAA published an MCAA-Focused report that segments out responses given by MCAA members and compares them to the rest of the construction industry. With this new report, MCAA members can not only see how their companies compare to other MCAA members, but how our membership compares to the industry at large. 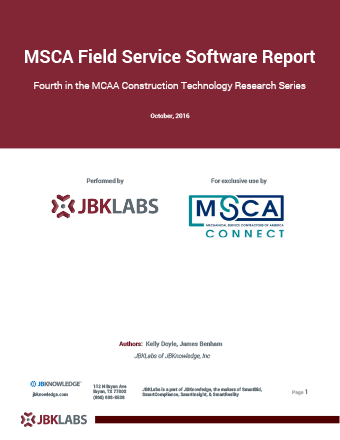 In August, 2016 MCAA released its third installment of the Construction Technology Research Series with a report on BIM to Field Software. 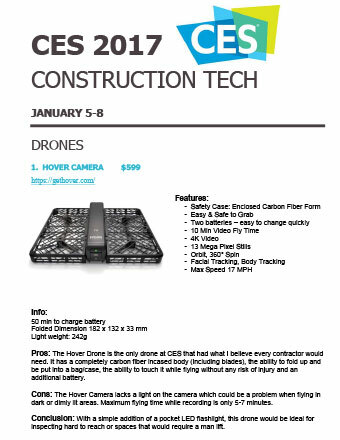 The research, provided by our technology partners at JB Knowledge, evaluated over 24 different types of software that leverage the data from the BIM model and use it in other parts of your operations like the field or in the fabrication shop. 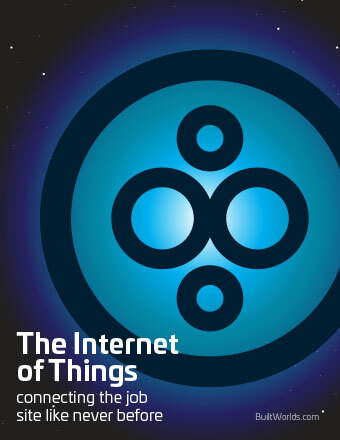 On Tuesday, August 23, the lead researcher on the project, Josh Bone, joined Sean McGuire, MCAA’s Director of Construction Technology for a companion webinar that provided more explanation and detail into the project. 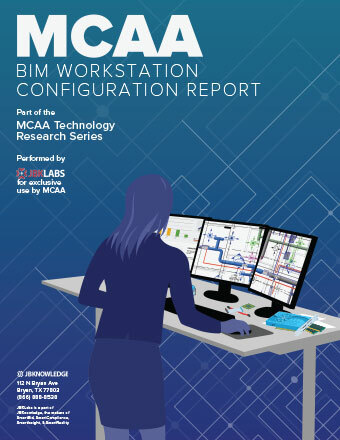 In this webinar, Josh Bone, lead author of the MCAA Construction Technology Research Report on BIM Software, presents some insights from his research findings and discusses the differences in the software tested and the BIM and VDC process. 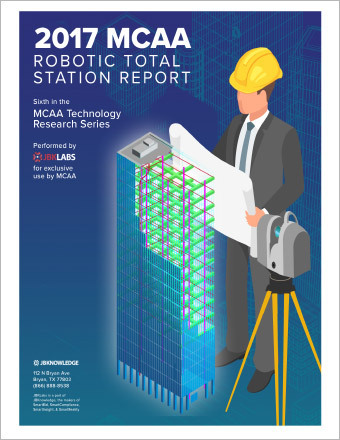 At the MCAA Construction Technology Conference, MCAA President Tom Stone announced the release of the second report in the MCAA Construction Technology Research Series on BIM Software. 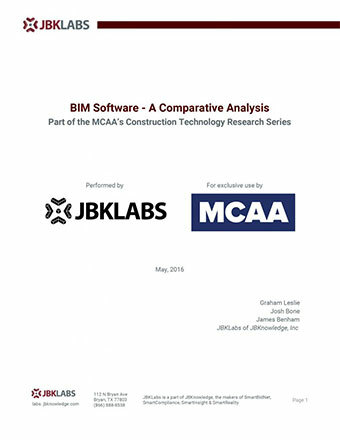 The study, developed exclusively for MCAA by JB Knowledge, provides a comparative analysis on software platforms used for virtual design and construction. The goal of this research study is to at least help contractors evaluate and compare the many BIM platforms suitable for mechanical contractors. For contractors with established BIM or VDC departments, this research report will prove useful in evaluating your software platforms and comparing them to features available in other options. 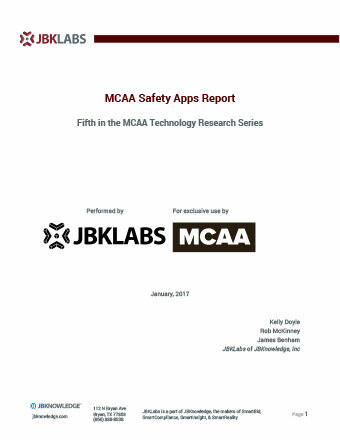 The report is a free benefit of MCAA membership. Josh Bone, BIM Services Manager of JB Knowledge. Josh has over 16 years of experience in the construction industry and is an expert on multiple BIM software platforms. Recorded on June 23, 2016.